Styron, a leading global materials company established in June 2010, today announced that it filed a registration statement on Form F-1 with the U.S. Securities and Exchange Commission related to a proposed initial public offering of its common stock. 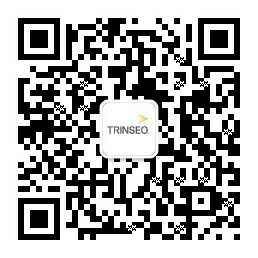 The filing is under the company name Trinseo S.A. In April, Styron announced plans to change its name to Trinseo, which will take effect globally later this year. The offering may consist of newly issued shares sold by Trinseo S.A as well as shares sold by selling stockholders. The number of shares to be offered and the price range for the offering have not yet been determined. The company will likely use the net proceeds from the proposed public offering for debt repayment and other general corporate purposes. The previously referenced registration statement relating to these securities has been filed with the U.S. Securities and Exchange Commission but has not yet become effective. These securities may not be sold nor may offers to buy be accepted prior to the time the registration statement becomes effective. Deutsche Bank Securities Inc. and Goldman, Sachs & Co. are serving as joint book-running managers of the offering and representatives of the underwriters. Citi, Barclays Capital Inc., BofA Merrill Lynch, HSBC Securities (USA) Inc., Morgan Stanley & Co. LLC, and Jefferies & Company, Inc. are also acting as joint book-running managers of the offering. Email: prospectus.cpdg@db.com Goldman, Sachs & Co. This press release shall not constitute an offer to sell, or the solicitation of an offer to buy, nor shall there be any sale of these securities in any state or jurisdiction in which such offer, solicitation or sales would be unlawful prior to registration or qualification under the securities laws of any such state or jurisdiction.